NEWPORT BEACH — Oysters and eelgrass go together like peanut butter and jelly or cookies and milk. 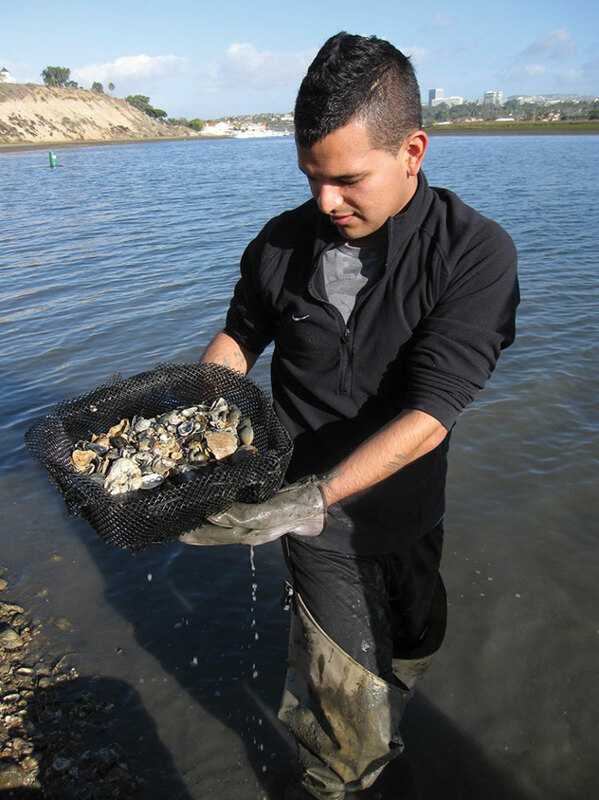 Such a connection is being made by Orange County Coastkeeper, which seeks to replenish Southern California’s oyster reefs to help maintain eelgrass populations and generally benefit marine life. 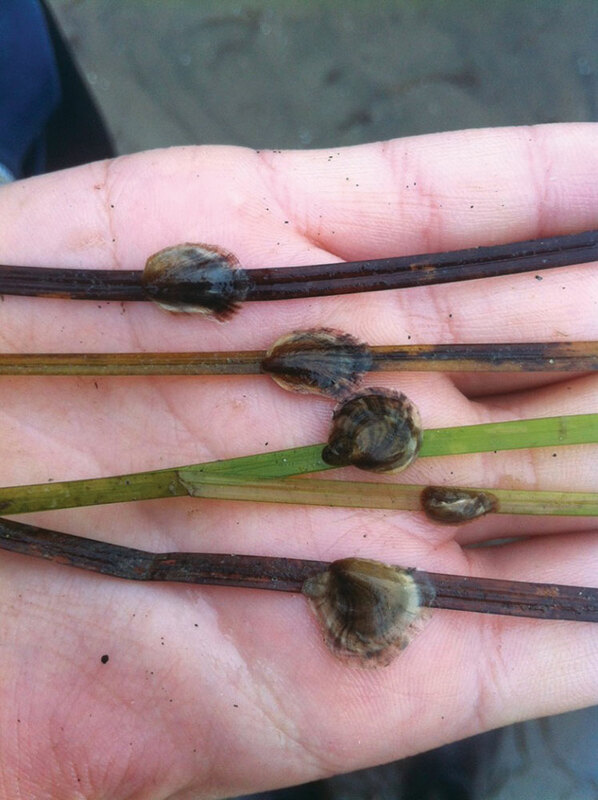 Replenishing oyster populations could play a significant role in eelgrass management. Southern California has an eelgrass mitigation policy in effect dictating dredging projects and limiting the placement of boat docks, gangways and ramps. Eelgrass mitigation measures often require dock owners, marina managers or harbor operators to ensure the submerged plant receives sufficient sunlight. OC Coastkeeper reported earlier this month about 85 percent of the world’s oyster reefs have disappeared since the 1990s. 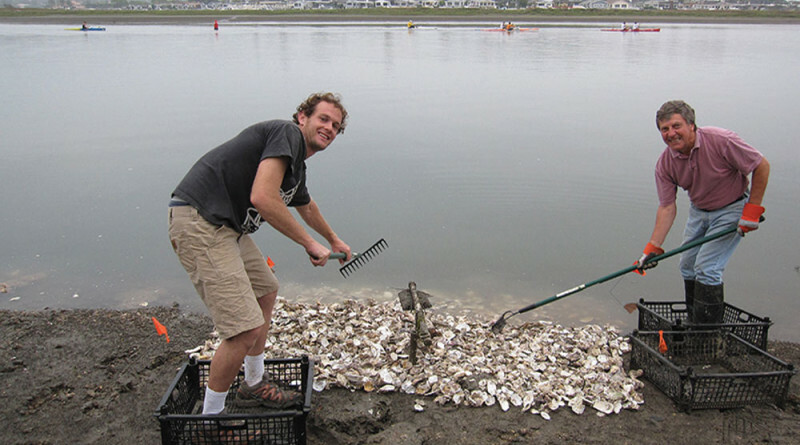 The nonprofit clean water organization, in conjunction with Cal State Fullerton, Cal State Long Beach and KZO Education, launched an effort to restore an oyster habitat at Jack Dunster Marine Reserve in Long Beach’s Alamitos Bay. Oysters help sunlight penetrate ocean water by filtering sediments or other pollutants. The increased water quality provides clarity, allowing sunlight to penetrate into deeper waters. Eelgrass requires at least 18 percent (and as much as 30 percent) sunlight exposure for eelgrass to properly grow. Briley said oysters play a significant role in the ecosystem. The only native species of oyster on the West Coast are Olympia Oysters, according to OC Coastkeeper. Olympia Oysters are currently at 5percent of its historic abundance, the staff of Puget Sound Restoration Fund stated in March. Pacific Bio’s website adds Olympia Oysters were once found along the eastern Pacific Ocean coast between southern Alaska and Baja California. An oyster bed’s role in helping eelgrass access sunlight was confirmed by a National Oceanic and Atmospheric Administration (NOAA) Fisheries report published in 2008. “Light is the most common limiting factor for eelgrass. Filtration by native oysters can help decrease plankton blooms, thereby increasing light penetration and opportunities for [eelgrass] growth,” Betsy Peabody of Puget Sound Restoration Fund and Kerry Griffin of NOAA’s National Marine Fisheries Service jointly stated in the 2008 report. OC Coastkeeper added oyster beds once provided a habitat and refuge for crabs, fish, octopus and other organisms. “Due to over-harvesting, coastal development, destruction of wetlands and increased water pollution, populations of the Olympia oyster have been vastly depleted,” OC Coastkeeper staff said in a released statement. The restoration effort at Jack Dunster Marine Reserve could be a model of how to restore oyster beds in Newport Beach and other Southern California harbors. “The restoration site in Alamitos Bay serves as a model for restoration projects to come. Coastkeeper also plans to use these same restoration techniques for its work in the recently funded ‘Living Shorelines’ project in Newport Bay, which restores oyster and eelgrass beds as natural buffer zones that protect shorelines from erosion due to quickly rising sea levels,” OC Coastkeeper added.